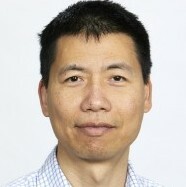 Le Hai Vu is a Professor and Australian Research Council (ARC) Future Fellow in the area of Intelligent Transport Systems (ITS). He recently joined Monash University to lead the ITS research. Prior to that, he spent 5 years at the University of Melbourne and 11 years at Swinburne University of Technology where he has had established and led the Intelligent Transport Systems Lab in a joint partnership with VicRoads and over 16 years rich experience as an academic and researcher.